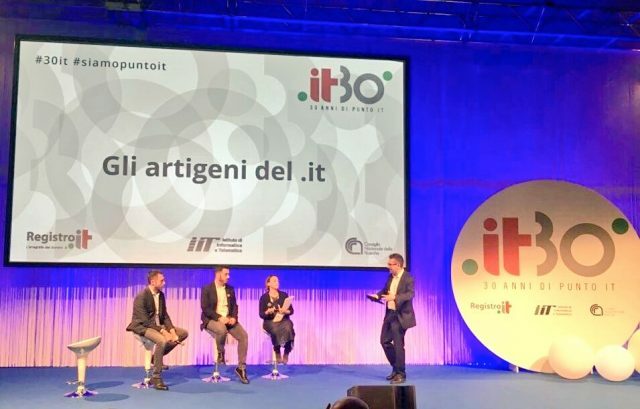 What does a PMI company do on the stage for the celebration of the digital technology in Italy? On 24th November in Milan we took part in the event for the celebration of the 30th anniversary of the domain “.it”: three decades have passed since Italy appeared in the digital world with domains indicating the Italian origin. 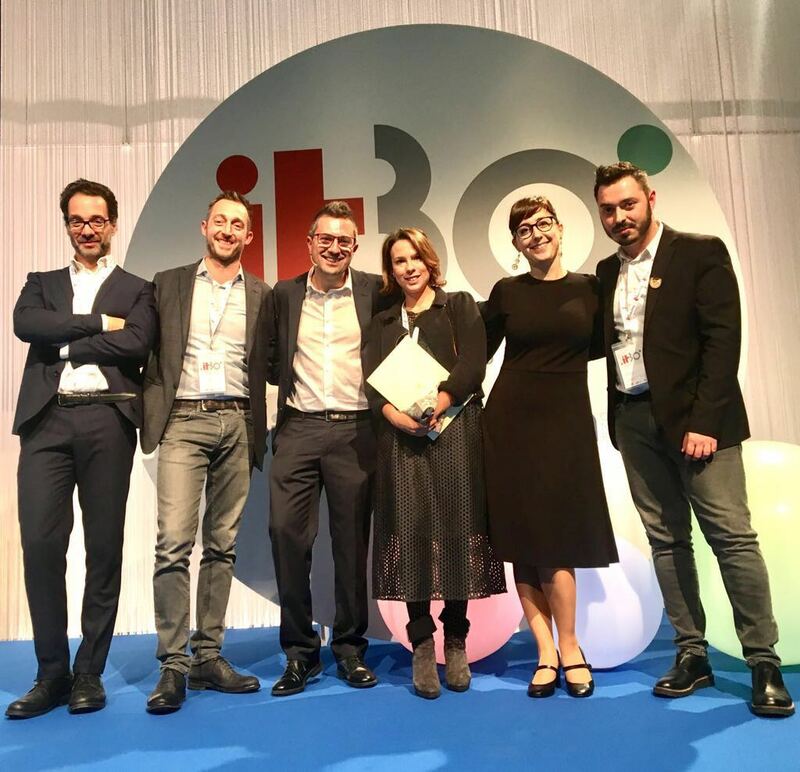 What is then the reason why among these three millions subjects we have been nominated by the digital gurus presenting the event, Giampaolo Colletti, Gainluca Diegoli and Alessio Jacona? There is more than one answer to this question. As it happens sometimes, the observer’s point of view can carry to different conclusions. As far as we are concerned, we have been nominated as one of the first Italian “Corporate Blog” and it is actually true: we have been among the first ones to look for an open dialogue without any filter with all online people, it did matter where they were. In some other occasions we have received a special attention due to the fact that we have been nominated by Google as a digital excellence company. We base the most part of our job on digital technologies…sometimes we have the feeling that our shops are an extension of our website because we are so used to “live” our contacts on the web, on all social networks, in such an intense and shared way. But the answer to the question “What does Berto do with the protagonists of the digital technologies?” sounds quite different to us. Maybe the honor of being on that stage derives from some other things, things that have so little or nothing in common with digital technology in the strict sense. Factors called coherence, attention and ability. “Coherence” is such a great word: we are the first ones to analyze our job, and every day we have to do with the difficulty of “hanging in there”, of preserving our identity, of carrying on our personal point of view despite everything and everyone. It is a tough job, we keep on trying. But in the end maybe we manage it. That sense of coherence is present, for instance, in the way we approach the communication. When the Berto blog appeared online in 2005, our company was not the same as it is now. Everything has changed in our company since then, apart from one thing. The author of that first blog is the man who is leading the company today, the son of the co-founder Fioravante Berto. We have been experienced a total change, a crazy improvement and we keep on concentrating on a continuous grow, but we never forget our idea of quality and “know how” we have got from our founders. We have simply (so to speak) found some new ways to let people know it. And here the digital technology, at the service of something that comes from far away, that was born before the web: the ability we have to do our job in a proper way. As it was at the beginning, it is about the personal abilities of all people working with us. We put a special attention to the customer that is not simply a customer to us, we consider him a person. That is our way of working. We have learned this attention either from all people working in our company during the past years and from whom – on the web, on the “digital highway” as we used to called it in our post about 10 years ago – took some moments to talk with us, even in a language we did not know. Now we have a blog in 6 different languages, but we put the same attention to every contact, to every mention related to us as we did in the past. The same attention we dedicate to all customers that come and visit the showroom. 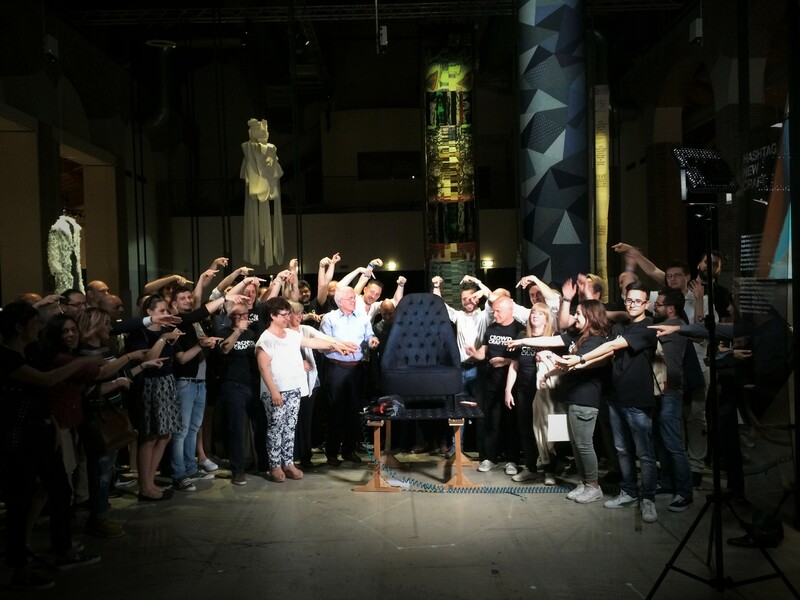 That is the reason why we were on the stage for the celebration of the 30th anniversary of the Italian digital technology. And would you like to know something special? We were all there, as you can see in the picture. We must thank all working people of the company that are able to create the sofas (people who sell them, the drivers, the customer service, all employees): they gave us the chance to be invited on that stage in Milan to celebrate the Italian digital technology. We are really happy about it, it is not simply related to the satisfaction, we know it is a daily goal for our team, day by day, month after month, year after year. Online and offline, in the same way.